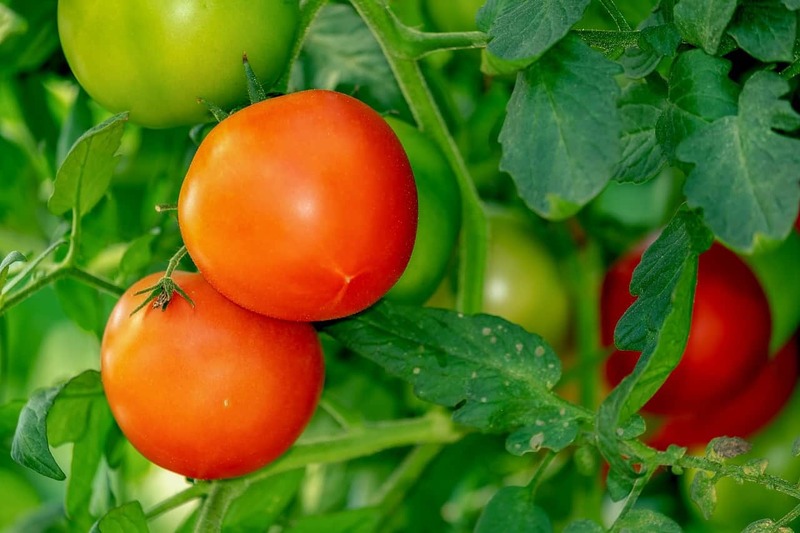 Home >> Vegetables >> The Tomato Fertilizers: Which One Is the Best? The Tomato Fertilizers: Which One Is the Best? Growing your own vegetables at home is one way to reduce your expenses on foods. It can also help you to save your money. One of your favorite foods is tomato. How to grow them as many as possible – or at least enough? Using a tomato fertilizer is the answer. However, choosing the right fertilizer for tomatoes can be quite tricky. In fact, before you decide to buy one, there are some steps that need to be done. Tomatoes are also dubbed the “love apples”. This term comes from their similar shade of red despite their different shape. As heavy feeders, they need all kinds of things in order to promote their growing plants and fruits. Of course, preparing the beds to grow them is the number one priority. Make sure they are full of nutrition. The young tomato plants will devour anything they are fed with. To make a suitable compost, using well-composted, farm animal manure and other elements are the usual mixture. You can choose between horse, chicken, or cow manure. You can even combine either if you have all of them. The additive to mix it up with the manure is called vermicompost. Using worms as the organic materials, the soil will receive enough nutrients. It also builds a microorganisms’ host. Their existence will help the tomato plants to absorb foods better and combat the soil-dwelling pests. To collect enough calcium as part of the nutrients, crack some eggs before washing and drying their shells. Then make a powder out of them. When you blend the powder through the beds with the manure, you give the tomatoes some calcium boost. The calcium functions to prevent against the blossom end of the plants to rot. Do not forget to check if the tomato beds are too compacted or loose. By pushing your fingers into the soil without too much force, that means they have enough space to grow. So, when to fertilize tomatoes? In general, you do that once after you plant the tomatoes. After that, you need to wait until the tomato plants start settling in. Before you add the fertilizer, create a hole where you want to plant your tomatoes. Work lightly through the soil. You do not need to do much if it is an organic tomato fertilizer. However, it is a different story if it is a chemical one. Place a thin layer of pure soil (unmixed with any additives) between the fertilizer and the base of the plant. This is to prevent the root from burning as the plant starts unwinding itself from inside the pot. The second time to fertilize tomatoes is when the plant starts to bear fruits. To make it easier, use a diluted liquid fertilizer instead. This is also known as “fertilizer tea”. Fertilize around the plants in every two weeks until it is time to harvest. Do not aim it to the leaves, but only about 6 inches out of your plant’s base. Dry fertilizers may also work for your tomato plants. Lightly put them into the soil’s top layer before watering them in. However, in general, make sure the tomato plants have already been watered in first before the fertilizing process begins. That way, they get to receive the water to grow instead of fertilizers. After that, wait for another two weeks. Since nitrogen helps to grow plants well, your tomato ones will need to receive enough of it. Either from the seed or a new transplant, it works just as well. To have a high level of nitrogen, you can add tea leaves, coffee grounds, or a half cup of blood meal into the nutrients. These mixtures should be ready a month before you start planting. There are various kinds of tomato fertilizer ratio. You can use the 10-5-5 ratio (for the compost, the base, and the nutrients). You can also use the 10-5-8 when you start planting. After a couple of weeks and they start to bear fruits, you may change it into the 5-10-5 or the 5-10-10 ratio. Just like with some other plants, you get to choose between the organic tomato fertilizer and the chemical one. Some people may worry about the side effects of using the chemical tomato fertilizer. One common problem is when the signs of the chemical additives alter the outer appearance of the harvested tomatoes. If you worry about the side effects of the chemical tomato fertilizer, then it is better to use the organic one instead. Just like with most organic stuff, an organic tomato fertilizer tends to be slow when it comes to breaking down in the soil. However, the process is more natural. With good organic materials, the soil is gradually built. This is better instead of the usual speed from using the chemical products. This does not mean that the chemical tomato fertilizer is always bad. You can still use the high-quality chemical product if you still want to speed up the growing process. Just to be on the safe side, you might want to add some extra calcium to your soil. So, which one is the best fertilizer for tomatoes? Once again, it depends on what is good for the soil. To make sure which one fits best, you need to use the soil test kit. There are several you can choose. Whatever the end result is, you will know which fertilizer that is right for your tomatoes. If your soil needs more potassium than phosphorus or nitrogen, pick a chemical product that can cater to it. If a homemade blend of an organic tomato fertilizer is your choice, that is okay too. For healthier plants, make sure it contains enough nitrogen and phosphorus. Last but not least, calcium is very important to avoid rotting blossom end. If you do not want to use any fertilizer, your tomatoes can still grow. The downside is, they are not as healthy as those that use the tomato fertilizer. Choose wisely.